A multi-phased project is planned, beginning with the renovation of 6,400 gross square feet of recently vacated space on level 2 of the Medical Inn Building to accommodate the Hospital Dentistry department currently located on level B1 of University Hospital. 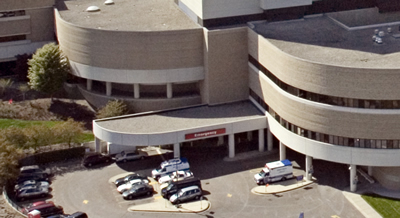 A renovation of approximately 22,500 gross square feet on level B1 of University Hospital will create 27 exam rooms, 6 triage bays, 2 family consultation rooms, as well as expanded and improved patient reception areas for the Emergency Department. This renovation also includes the relocation and expansion of the Psychiatry Emergency Service to space adjacent to the Emergency Department.